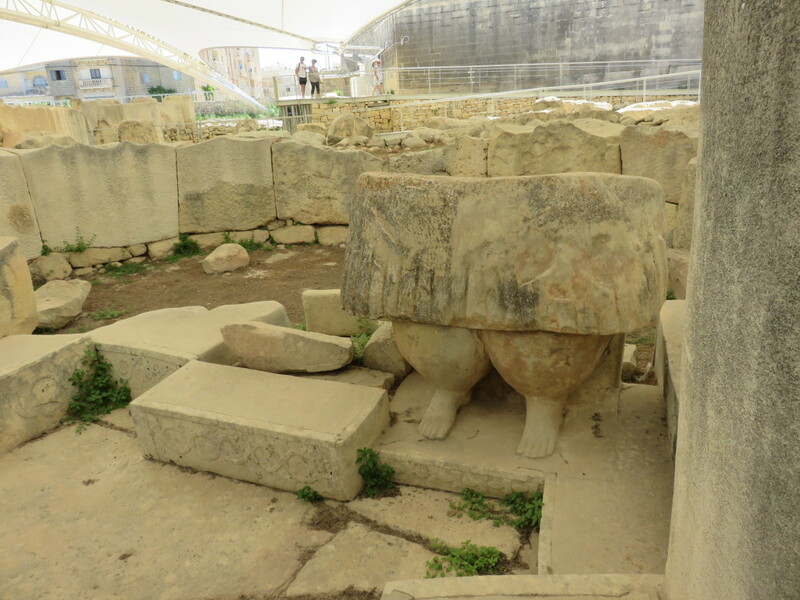 The Tarxien Temples were discovered in 1914. The site was accepted as a UNESCO World Heritage Site in 1980 along with the other Megalithic temples on the island of Malta and Gozo. 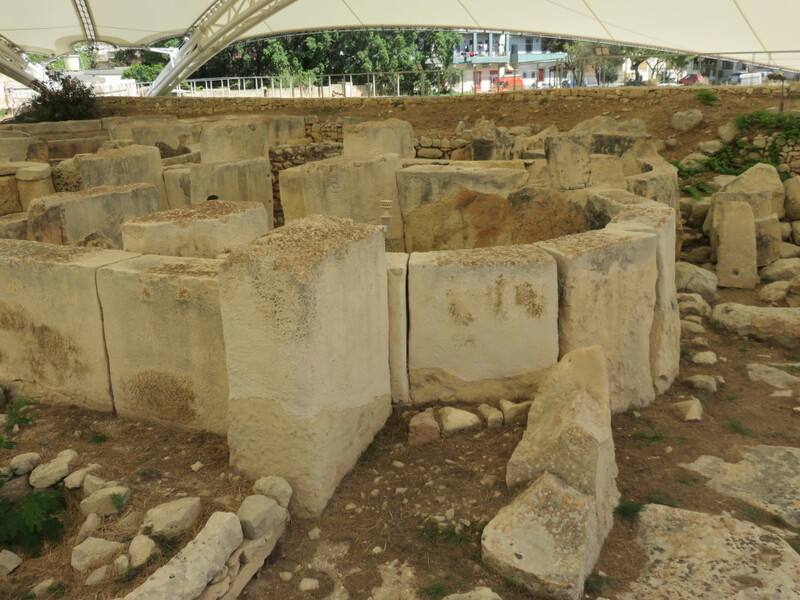 The Tarxien Temples site is a complex of four megalithic structures built between 3600 and 2500 BC by the mysterious creed known as the ‘Temple Builders’. 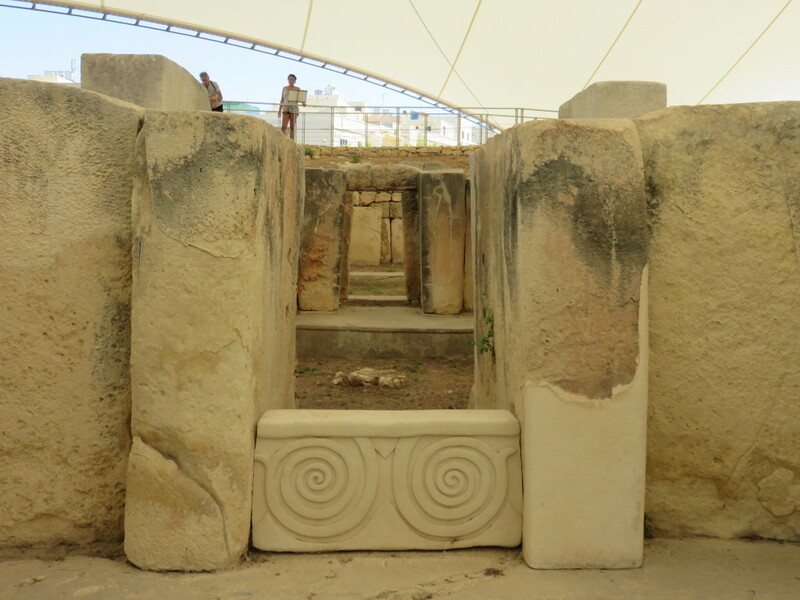 The Tarxien temples are witness to the temple builders’ most sophisticated forms of art, architecture and sculpture. The temples were likely to have been an important hub of economic, political and religious life, though the site itself was re-purposed during the Bronze Age as a cremation cemetery. 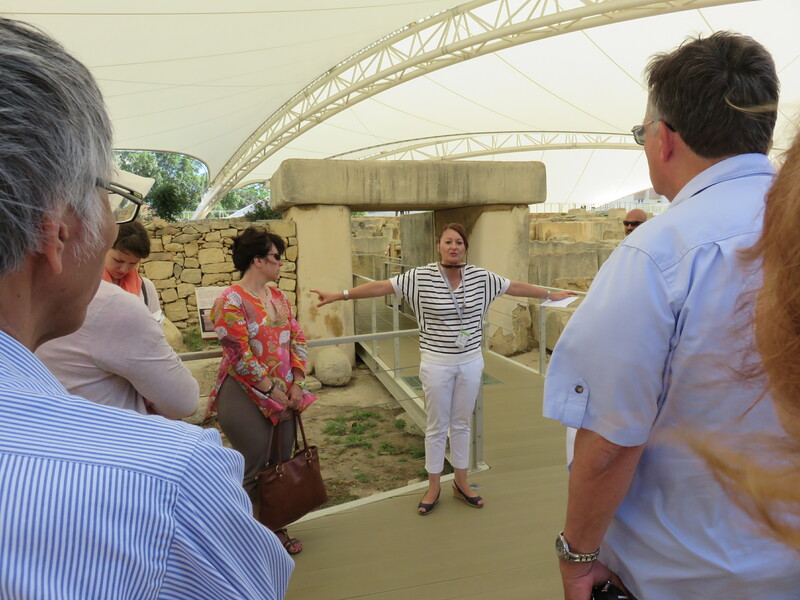 The Tarxien site is so complex a matrix of narrow passages and megalithic structures, that a visit inspires a new respect for what could be accomplished over 5000 years ago. 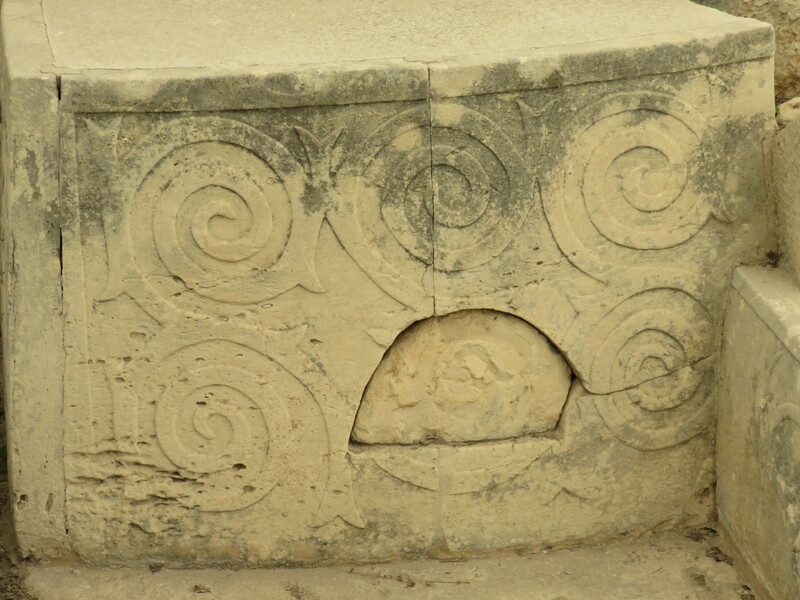 The four temples are rich in megalithic art, constructed as they are from stone blocks adorned with relief-work in spiral patterns, as well as the depiction of goats, bulls, pigs and a ram. 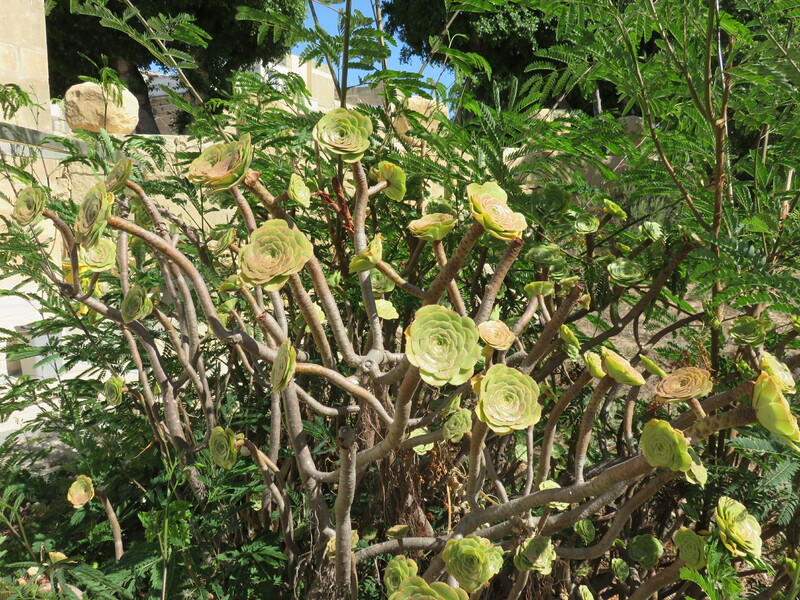 The significance of the spirals remains ‘occult’ in the strictest sense, though archaeologists believe that the animals depicted may have been sacrificial offerings. 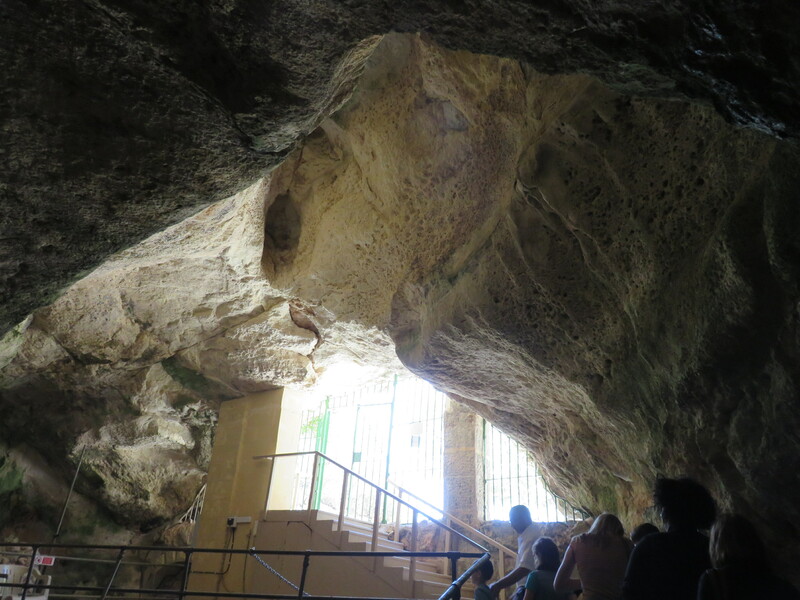 Għar Dalam means ‘Cave of darkness’ in Maltese. 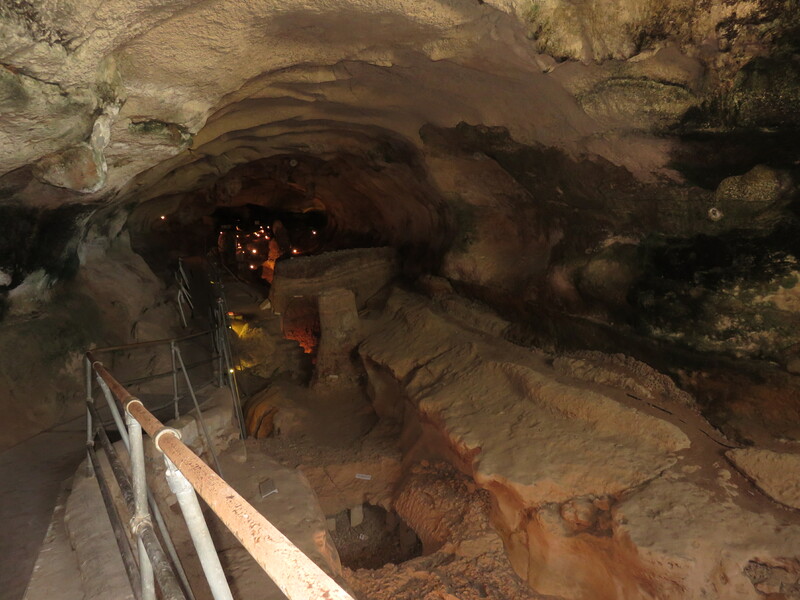 The cave is 145-metre cavity of which the first 50 metres publicly accessible. The animal bones found within are evident proof that Malta was once linked to Sicily and to mainland Europe by a land bridge. 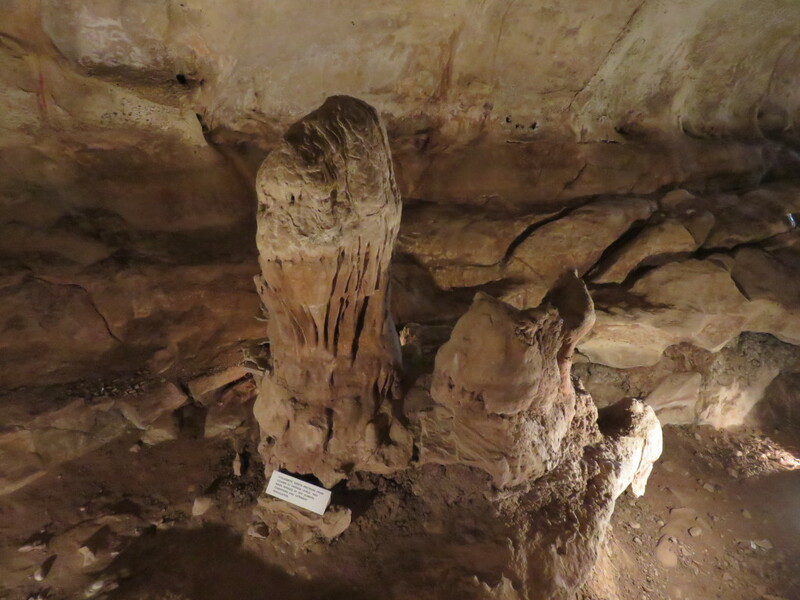 A huge number and variety of paleontological treasures have been unearthed from Għar Dalam, including the remains of dwarf elephants and hippopotami. These animals were trapped in Malta during the ice age when the sea-level rose to isolate the country from Sicily. The marooned animals subsequently evolved to smaller size in order to adapt themselves to a more limited food-supply. The cave has also surrendered the remains of bears, wolves, micro-mammals and giant flightless swans. 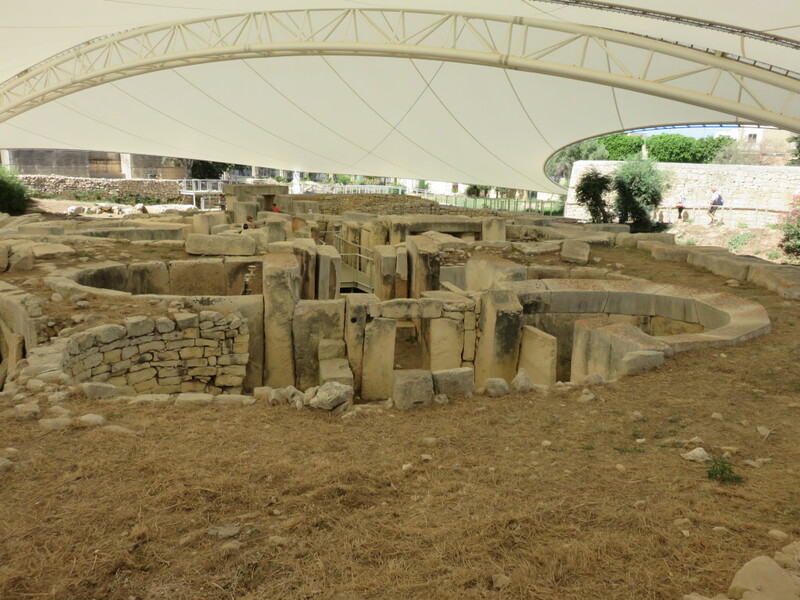 Għar Dalam served as a human habitation 7,400 years ago, and later as a cattle pen. As well as human remains, archaeologists have unearthed primitive earthenware, stone axes, shell beads, flint and obsidian flakes, bone-points and the bones of domestic animals. Hello, Joanna! Had to leave a note for you…So enjoying following you along on your journey. 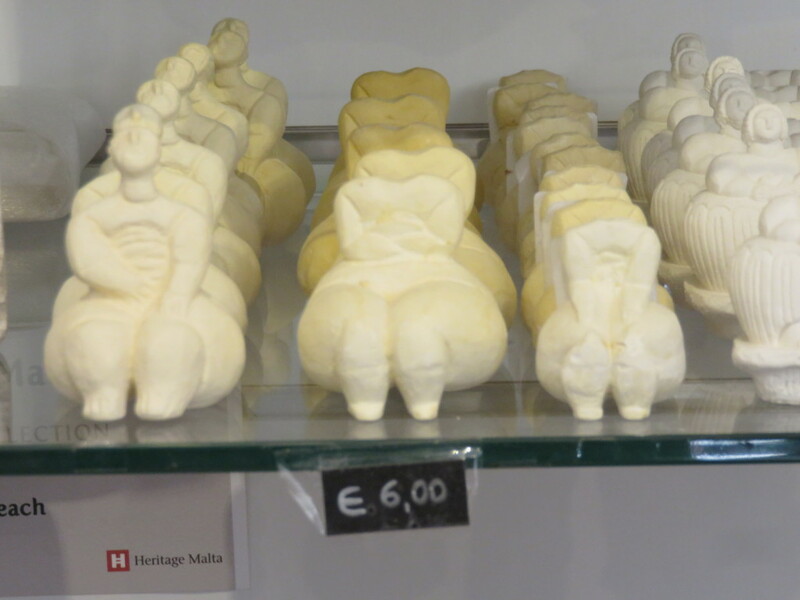 Love the frescoes and sculptures…!!! 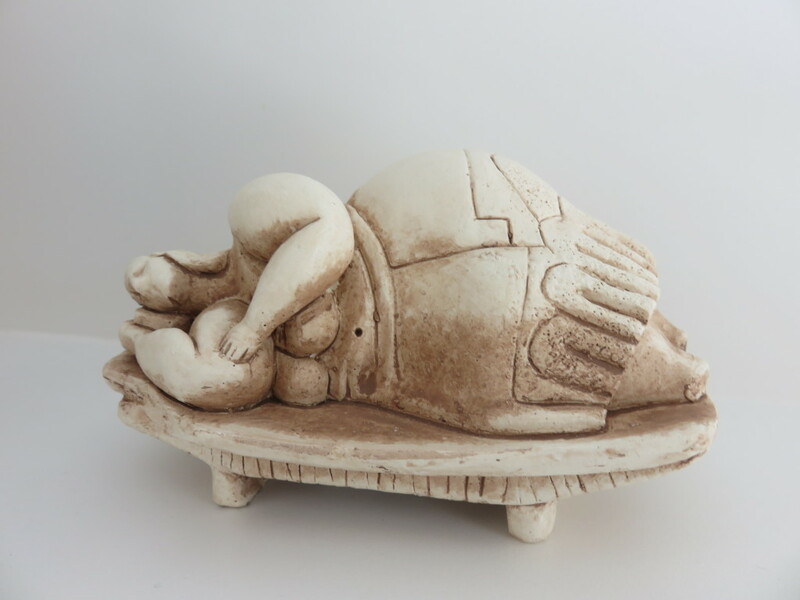 The Montessorian in me is particularly fascinated by the paleontological treasures …. ice ages, micro-mammals and giant flightless swans! Amazing!!! Safe journey, be well and see you when you get back! Always good to hear from you Shelley. Scary caves, I must say.